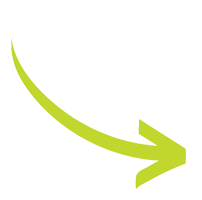 Junk Removal Devon | JUSTJUNK | Book online and Save! Junk Removal in Devon, AB! Opened the doors of your home only to find yourself face-to-face with unwanted junk? Have no fear, JUSTJUNK Devon is here! With our full removal service, the Devon junk removal team is ready to perform all of the junk hauling, pickup and disposal necessary to rid your home of any unwelcome junk! To guarantee the best junk removal experience possible, the Devon junk removal team always verifies your price on-site with a free estimate, prior to proceeding with the service. Simply gesture towards where the junk is located, and our fully trained service professionals can confirm your quote, at no-obligation! By relying on a volume-based pricing scheme, our rates only depend on the capacity of space that your items take up in our truck! If the rate sounds reasonable, the Devon junk disposal team can get rid of junk right away! Sit back and take a breather, while our fully insured service professionals fulfill all of your intimidating junk lifting, loading and disposal tasks – for no additional charge! With new junk items removed daily, it becomes far too easy to exploit the landfill as a primary disposal option. However, we at JUSTJUNK Devon don’t believe in taking the easy way out! That’s why our Devon junk disposal team incorporates eco-friendly substitutes to avoid relying on the landfill! By following in the footsteps of local charities and recycling teams, as much as 60% of the junk we remove avoids the dump! A busy schedule shouldn’t stall your junk removal! 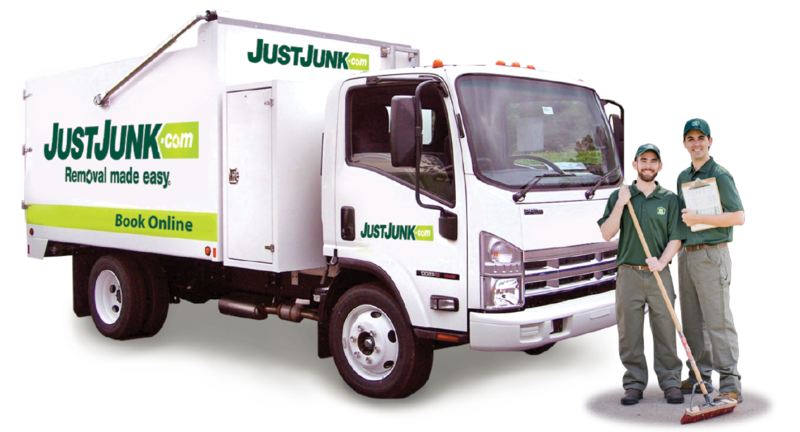 At JUSTJUNK, the Devon junk removal team offers same or next day service to dispose of junk at your earliest convenience! Book Online! Questions or concerns regarding junk removal? 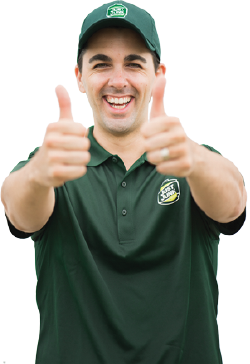 Give one of our Devon junk removal representatives a call at 780-409-0444 today! Incredibly polite and personable employees ... you choose them right! The guys were very professional courteous and hard working. Boys were great, came down and grabbed my stuff and had it out in no time. The gentleman that came to our door were friendly and professional! Fast, reliable, professional, economical and I will be using in the future as well as recommending to family and friends. Thank you!! The customer service was fantastic, would definitely recommend Just Junk to my friends and family! Very happy with the service. They came exactly when they said they would, were courteous, polite and clean. Thank you. The service was excellent, the crew was very efficient and friendly. I would recommend your company to all my friends. Fast service, friendly movers, and careful with large items - thanks very much! This crew was careful, considerate, polite, and hard-working. They got my fridge out of the basement even though it was a serious challenge. I would recommend these guys in a heartbeat! I was very impressed. The truck arrived within the expected time frame we were given. The two young men who moved our piano were polite, friendly and knew what they were doing. They gave us all the information we needed to make our decision and they were very fast and efficient once we decided to let them take the piano. The two gentlemen who came to take my junk away were very professional, pleasent, and efficient. It was a bonus that they called to update me on when they would arrive. And booking the appointment was very simple online. Kowtows to Alex and his helper. Very polite and quick. Thanks and will highly recommend just junk to family and friends. Very quick and very efficent. Both workers very polite. Very professional. Positive and very helpful. Great service!! Your crew was very efficient and very professional, and the price I was quoted was exactly what your web site said it would be.